If you came here from the Swirlydoos' blog, you are on the right track. We have some amazing projects for you to see today !! Make sure to leave a comment on all of the blogs for a chance to win!!! 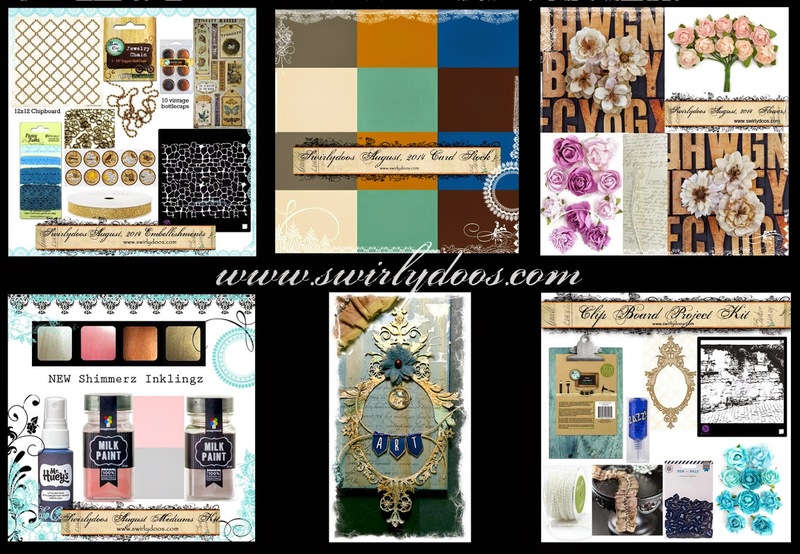 Make sure you have LIKED & FOLLOWED Swirlydoos on Facebook!!! 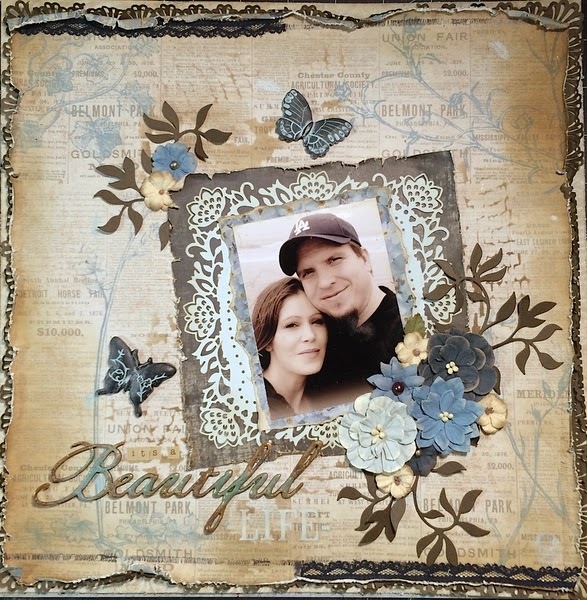 We have some absolutely beautiful scrapbook projects for you to see today!! Oh, my! Wistful Blues is so delightful! I have soooo many more projects I want to make with this kit, but here are my first two. I LOVE this little clipboard! This is going on the door of my new scraproom when I move! 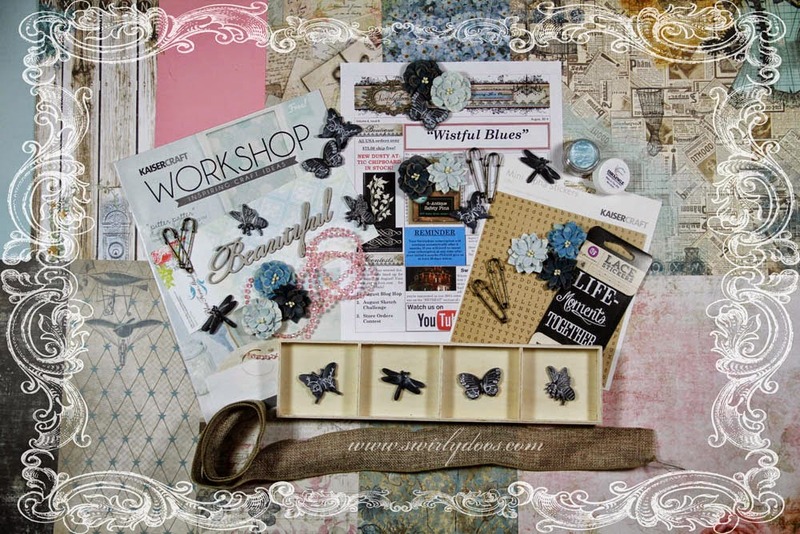 I used primarily the Wistful Blues project kit, with a handful of other things from this kit collection, including the main kit. 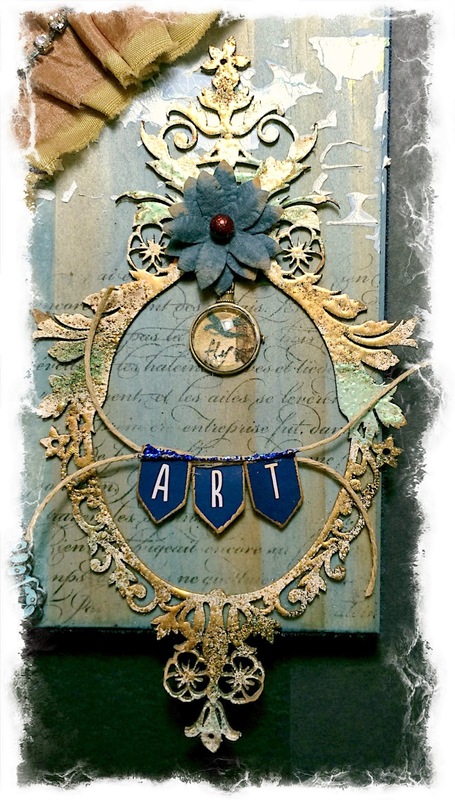 Just look at that BEAUTIFUL chipboard frame by Blue Fern Studios! I made this clipboard when I was at Camp Swirlydoos last week. I have a short video, but it's not my usual style with me talking- it was WAY too noisy for any commentary. This layout is based on the Wistful Blues sketch. 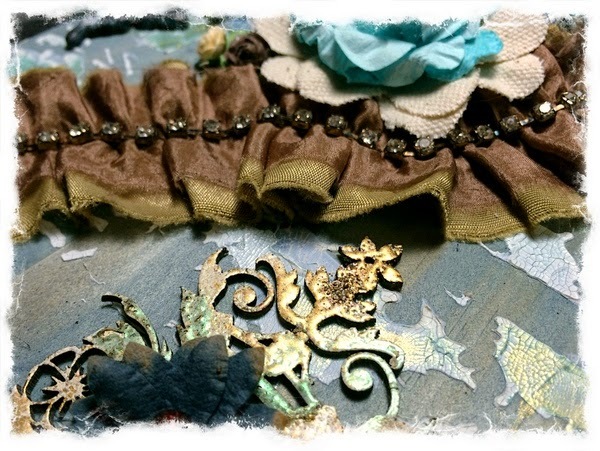 I used on of the new Prima masks form the embellishment add on with distress ink in the background. The blue lace at the top and bottom are from my stash, as well a couple of the flowers in the clusters. 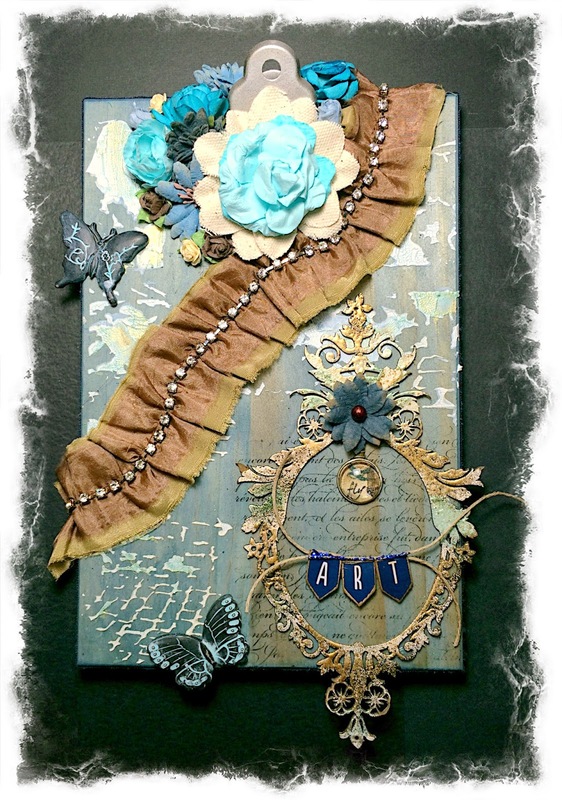 The brown leave scrolls are from the cardstock add on, cut with a Crafty Ann die. I inked the butterflies with blue chalk ink and wiped off the excess so that the white accents had a blue color. 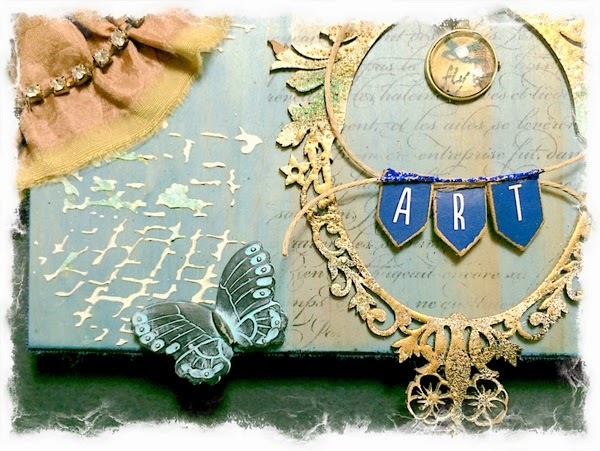 The "Beautiful" piece was embossed several times with different inks to create a patina look. Thanks for taking the time to check out my projects and three-minute video! Beautiful projects! I love the masking on your clipboard, so many details. Lovely layout!! Rae, it was wonderful to meet you this past weekend! Your clipboard is awesome! Oh my Rae.... I love your altered clipboard with that amazing chipboard frame. You altered it so Beautifully! And I love your sketch page. Beautiful work! very pretty. I LOVE what you did with the clipboard. I'm totally in love with this project and can't wait to get my hands on my own! Rae, such beautiful projects for the hop. I just love this kit. The colors are perfect for transitioning from summer to fall. so pretty! I love your chippie treatment and that super cool clipboard! Stunning, I can't wait to get my hands on this kit. Great collection of products. Gorgeous Rae, love the chippie! I saw the clipboard in person and I guess you know how badly I need it; you did such an awesome job designing yours!!! Love the LO, too, so sweetly gorgeous!!!! Such Beautiful projects...Love the clipboard! Your layout is gorgeous and I am looking forward to watching the video on the altered clipboard. Love all the details and inspiration! Beautiful projects, Rae! I love the LO you created based on the sketch! Love your clipboard, Lady Rae! Gorgeous projects dear. so glad I got to see them in person. I think that clipboard will be perfect for your scrappy door. So pretty! Love your project! stunning projects I Love your take on the sketch! All the best!